In a market economy characterized by commoditized products and global competition, how do companies gain deep and lasting loyalty from their customers? The key is in providing meaningful customer experiences. 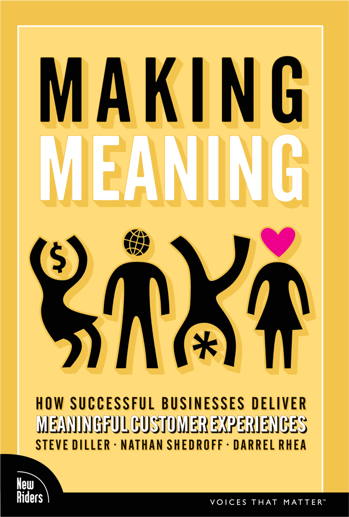 Writing in the tradition of Louis Cheskin, one of the founding fathers of market research, the authors of Making Meaning observe, define, and describe the meaningful customer experience. By consciously evoking certain deeply valued meanings through their products, services, and multidimensional customer experiences, they argue, companies can create more value and achieve lasting strategic advantages over their competitors. We’re now hip deep, if not drowning, in the ‘experience economy.’ Here’s the smartest book I’ve read so far that can actually help get your brand to higher ground, fast. And it’s written by people who not only drew the map, but blazed these trails in the first place. A visionary, eye-opening book that tackles the critical emerging question: When everything is possible, what is necessary? Authored by top leaders in the field, it is a must-read for anyone looking towards the future, for it brilliantly illustrates one of the promising keys to business success. Every morning, all around the world, billions of people wake up and go to work. For some, this may mean walking out into the fields adjacent to their home. For others, it may take an hour-long commute to reach their cubicle on the 50th floor. Regardless of the path, all are moving toward activities that define a large part of who they are. Whether you are a farmer or fund manager, the tasks you do, the responsibilities you hold, the relationships and decisions you make, all express parts of your identity and define you in significant ways. Because of this connection, most of us care about the meaning of what we do. That said, this is not a book about finding your soul in the workplace; many others have spoken to that issue. It’s a straightforward business book with a straightforward capitalistic goal: to encourage businesses to create more value by adopting a process that deliberately places meaning at the center of innovation. What we present here is a model for innovation that influences the wider commercial climate in which we all interact. We envision a time when customers increasingly make their purchase decisions based on deeply valued meanings that companies evoke for them through their products and services—in other words, meaningful consumption—as opposed to simply responding based on features, price, brand identity, and emotional pitches. We hope to persuade business leaders that combining and integrating the power of invention, design, and marketing to create meaningful experiences for their customers provides a blueprint to achieving sustained, stable growth. and the people with whom you work. For customers, the value is conveyed through a positive product experience and lasting brand loyalty. For shareholders, it comes in the form of ongoing profitability and a return on their financial investment in the company. For employees, the value of their work is also expressed as a return on their investment—of time and creativity, labor and a commitment to quality, and their identification with and loyalty to the company and its offerings. 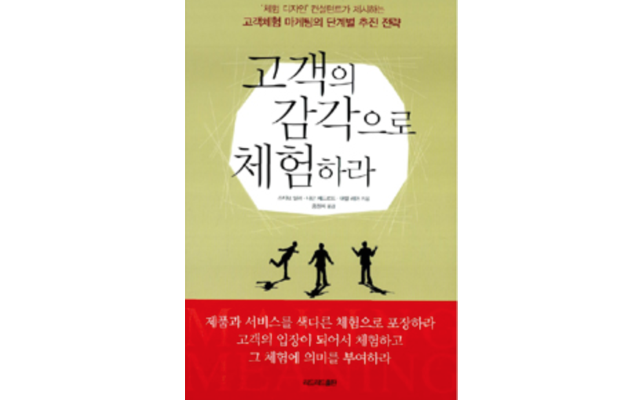 We write this book in the tradition of Louis Cheskin, who in 1945, embarked on what became a life-long obsession to understand the elements of meaning embedded in the relationship between companies and their customers. Using the emerging discipline of psychology, he helped some of this country’s most prominent businessmen (and they were all men at that time) to rethink and redesign their products. He helped Marlboro find its masculinity, margarine find its true color (yellow). Some 50-odd years later, the company he founded is a thriving consultancy that continues to help companies build meaningful connections with their customers. The designers, researchers, anthropologists and marketers who work at Cheskin, many of whom contributed to this book, continue to find meaning in their work; both for themselves and for the hundreds of clients who partner with us to build greater meaning into their products, services and brands. Making Meaningshares our perspective gained over the course of more than 30 years advising companies on innovation in product development, design, and marketing. Separately and together, the three of us have counseled hundreds of companies on both strategies and implementations that help create better experiences for their customers and audiences. “Experience” is a term that has spread throughout the business world with increasingly frequency over the course of the past decade—somewhat to the detriment of the concept. Phrases like “experience marketing,” “experience branding,” “experience design,” “experience economy,” and “360 degree branding” (a form of experience design) have proliferated, reflecting a recognition that customers relate to products and services in ways that go beyond their perception of the functional value of those offerings. Some of companies are well recognized for the success of their total customer experience—Disney and Apple, for example—and in fact acknowledge the power and value of this approach. Others are less obvious, such as John Deere, General Motors, and Procter & Gamble, yet they all identify experience as a significant factor affecting their financial performance. For all the interest in the concept of the customer experience, however, there’s been little concrete discussion of how it’s achieved. Even some of the companies that have succeeded at it seem to have gotten there by accident or, in rare instances, been led to their successes by the leadership of a marketing genius, such as Steve Jobs. Our own work in the field has led us to the conviction that for companies to achieve enduring competitive advantage through experience design, their innovations cannot be based simply on novelty. Increasingly, they must address their customers’ essential human need for meaning. 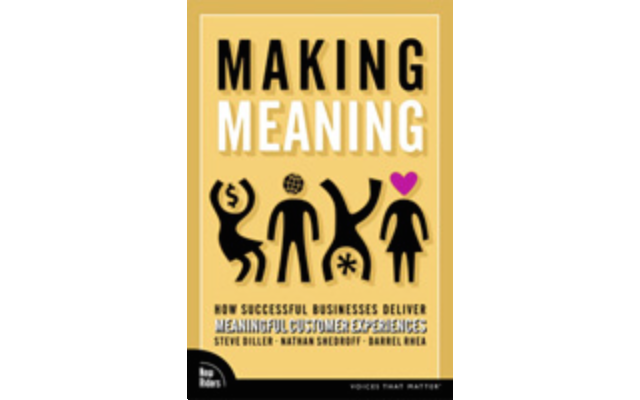 To do this, companies must first understand the role that meaning plays in people’s lives, how products and services can evoke meaning, and then how to identify the core meanings they should target with their own offerings. For companies facing both globalization and the end of the mass market, “making meaning” is one of very few strategies that will work. In this book, we observe, define, and describe the phenomenon of the meaningful customer experience. Where Louis Cheskin drew almost exclusively from psychology, we add insights from cultural anthropology and contextual design. In this book we briefly wrestle with defining both “experience” and “meaning” in the context of business innovation. As you might imagine, these are slippery terms, but we provide ample illustration of what we mean—some from our own client work, some from other companies. We offer you a list of types of meaning our work has led us to find are most valuable to people, but we’ll also encourage you to add your own. And, importantly, we offer practical strategies for turning your business into a “meaning business,” focusing on the roles, tools and process of identifying, designing, delivering, and maintaining meaningful experiences. We show you how meaning can be the engine behind innovation and an organization’s strategic plan, as well as way of unifying vision and communicating it to everyone in an organization clearly and simply—whether you’re selling software or soft drinks, or something that doesn’t even exist yet. The strategies we present here are a natural outgrowth of ideas about business that have gone before. They evolve the practice of innovation, design, and marketing in a direction demanded by the marketplace. We invite you to explore this concept with us. We hope you’ll find it an enjoyable, thought-provoking read, offering perspective that just might revolutionize your business. At the very least, we think it will give you an opportunity and a vantage point from which to think about what your job means, and why that’s an important consideration. We’ve talked with thousands of people every year about the widest variety of products and services. In all cases it became clear that there’s an opportunity to focus on something of ultimate importance to people that marketers haven’t been aware of. What types of meaningful experiences do people value? In the course of helping companies develop products and services that suit their markets, every year we interview over 100,000 individuals from countries and cultures around the world. In these interviews, we’ve found commonalities among the meanings people feel strongly about, whether we’re studying the adoption of new software in Poland or the purchase of toothbrushes in Florida. We’ve compiled a list of these meanings, but it is far from exhaustive. We’ve found potentially dozens of types of meaningful experiences and at least as many possible ways to characterize them. What we concentrate on here are 15 of the meanings that emerge most frequently in these interviews and appear to be universal among people’s values. While the relative importance of these meaningful experiences might vary and their interpretation could differ slightly, all cultures seem to recognize their significance. This is good news for businesses, because it means that there is a certain constancy among human needs that transcends the distinctions of culture and language. Achieving goals and making something of oneself; a sense of satisfaction that can result from productivity, focus, talent, or status. American Express has long benefited from transmitting a hint of this meaning to its card holders by establishing itself as a credit card intended for those who are successful. Nike relies on the essence of this meaning for many in its “Just Do It” campaign. The appreciation of qualities that give pleasure to the senses or spirit. Of course beauty is in the eye of the beholder and thus highly subjective, but our desire for it is ubiquitous. We aspire to beauty in all that surrounds us, from architecture and fine furnishing to clothing and cars. Enormous industries thrive on the promise of beauty stemming from shinier hair, whiter teeth, and clearer skin. Beauty can also be more than mere appearance. For some, it is a sense that something is created “correctly” or efficiently with an elegance of purpose and use. Companies such as Bang & Olufsen audio equipment and Jaguar automobiles distinguish themselves through the beauty of their design. A sense of unity with others around us and a general connection with other human beings. Religious communities, unions, fraternities, clubs, and sewing circles are all expressions of a desire for belonging. The promise and delivery of community underlies the offerings of several successful organizations including NASCAR with its centralizing focus on car racing and leagues of loyal fans that follow the race circuit, Harley-Davidson motorcycles and their Harley Owners Group (HOG), and Jimmy Buffet with his dedicated Parrotheads. These businesses attract and support user communities who embody specific values tied to their products and services. The sense of having produced something new and original, and in so doing, to have made a lasting contribution. Besides driving our species to propagate, we enjoy this experience through our hobbies, the way we decorate our home, in telling our stories, and in anything else that reflects our personal choices. Creation is what makes “customizable” seem like a desirable attribute, rather than more work for the buyer, for example, making the salad bar a pleasure rather than a chore. The willing application of oneself to a responsibility. The military in any country counts on the power of this meaning, as do most employers. Duty can also relate to responsibilities to oneself or family, such as reading the daily paper to stay abreast of the news. Commercially, anything regarded as “good for you,” including vitamins, medications, Cross-Your-Heart bras, and cushioned insoles relays some sense of duty and the satisfaction it brings. Clear understanding through logic or inspiration. This experience is not limited to those who meditate and fast, it is a core expectation of offerings from Fox News, which promises “fair and balanced” reporting, the Wall Street Journal, which many consider the ultimate authority for business news, and the Sierra Club, which provides perspective on environmental threats and conservation. The sense of living without unwanted constraints. This experience often plays tug-of-war with the desire for security; more of one tends to decrease the other. Nevertheless, freedom is enticing, whether it’s freedom from dictators, or in the case of Google, the freedom to quickly search the Web learning and interacting with millions of people and resources. The balanced and pleasing relationship of parts to a whole, whether in nature, society, or an individual. When we seek a work/life balance, we are in pursuit of harmony. Likewise, when we shop at Target for a toaster that matches our mixer, we are in pursuit of harmony. Much of the aesthetic appeal of design depends on our personal desire for the visual experience of harmony. The assurance of equitable and unbiased treatment. This is the sense of fairness and equality that underlies our concept of “everyman” or Average Joe. It helps explain the immense popularity of the Taurus and the Camry, the ranch house, Levi jeans, and white cotton T-shirts—all products with a simple, impartial appeal to a very broad audience. A sense of unity with everything around us. It is what some seek from the practice of spirituality and what others expect from a good tequila. Although we don’t normally think of them as a company, the Grateful Dead sustained its revenues for decades building an experience that connected with its fans’ desire for oneness. Similarly, organizations that connects their members into nature or a broader sense of the world, like the Monterey Bay Aquarium or the United Nations, are capable of evoking a meaning of oneness. Atonement or deliverance from past failure or decline. Though this might seem to stem from negative experiences, the impact of the redemptive experience is highly positive. Like community and enlightenment, redemption has a basis in religion, but it also attracts customers to Weight Watchers, Bliss spas, and the grocery store candy aisle. Any sensation that delivers us from a less desirable condition to another, more pleasing, one can be redemptive. The freedom from worry about loss. This experience has been a cornerstone of civilization but in the U.S. in particular, acquired increased meaning and relevance after 9/11. On the commercial side, the desire for this experience created the insurance business, and it continues to sell a wide range of products from automatic rifles to Depends undergarments to credit cards that offer protection from identity theft. A commitment to honesty and integrity. This experience plays an important role in most personal relationships, but it also is a key component of companies like Whole Foods, Volkswagen, and Newman’s Own, all of which portray themselves as simple, upright, and candid. The recognition of oneself as a valued individual worthy of respect. Every externally branded piece of clothing counts on the attraction of this meaningful experience whether it’s Ralph Lauren Polo or Old Navy, as does Mercedes Benz, the Four Seasons hotel chain, and any other brand with status identification as a core value. Awe in the presence of a creation beyond one’s understanding. While this might sound mystical and unattainable, consider the wonder that Las Vegas hotels create simply through plaster and lights. Disney has been a master of this experience for decades, and technology companies routinely evoke awe as they enable their users to do what seemed impossible the year before. In 20 years of collaboration with Cheskin on major marketing initiatives, they have always delivered leading edge thinking. With Making Meaning, they continue to demonstrate new, powerful insights on driving brand and product innovation in ways that develop deeper, longer lasting relationships with consumers. As a Partner at Cheskin, Steve Diller brings more than 20 years of marketing research and consulting experience to the firm, and drives its product innovation and media content practices. Steve serves clients as an “experience strategist,” believing that the most effective way to for companies to deepen relationships with their customers involves the development of meaningful experiences, be it through branding or product usage. Such experiences constitute the cornerstone of effective brand and product innovation in an era of rapid technological and market change. Steve specializes in understanding the evolving needs of consumers of all types by observing them, talking with them, shopping with them, capturing their lives on film, among other techniques. Recent clients include Cablevision, Lexmark, The Washington Post, Famous Footwear, Milwaukee Journal Sentinel, Microsoft, Scientific American, and Weight Watchers. 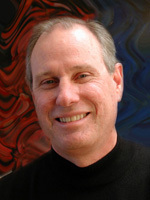 During his tenure at Cheskin, Steve also has been a major voice for the company’s point of view on product and brand, having contributed to numerous books, including The Human-Computer Interaction Handbook, The Principles of Trust, and Newspaper Brand Development. He regularly speaks at conferences as varied as the American Society of Newspaper Editors, InTECH, IIR, and Contentworld. Prior to joining Cheskin, Steve was responsible for media research at Continental Bank. He also has been a professor at Columbia College/Chicago, teaching courses on advertising and marketing psychology, social marketing, market research, media and political propaganda. Steve also co-owns a film production company and has produced and directed several feature films. Nathan Shedroff is one of the pioneers in Experience Design; an approach to design that encompasses multiple senses and requirements as well as related fields, Interaction Design and Information Design. His speaking, books, teaching, and projects all support this new direction of design. Part designer, part entrepreneur, his skills lend themselves to strategic thinking and design for companies who want to exploit the strengths of experience media in order to build better experiences for their customers and themselves in a variety of media, including: print, digital, online, and product design. Growing up in Silicon Valley has given him an entrepreneurial understanding and outlook. Nathan has extensive experience in publishing as well as interactive media. His last book, Experience Design 1, explores common characteristics in all media that make experiences successful and sold nearly 20,000 copies. He’s designed and published numerous books as well as articles on interactive media, information design, and the interactive industry. He maintains a website with resources on Experience Design at http://www.nathan.com/ed Nathan will complete his MBA in sustainable business from Presidio School of Management in June of 2006. He earned a BS in Industrial Design, with an emphasis on Automobile Design from the Art Center College of Design in Pasadena. However, fear of Detroit, coupled with a passion for information design led Nathan into this arena, where he worked with Richard Saul Wurman at TheUnderstandingBusiness. Later, he co-founded vivid studios, a decade-old pioneering company in interactive media. vivid’s hallmark was helping to establish and validate the field of information architecture, by training an entire generation of designers in the newly emerging Web industry. He is a founding member of the International Academy or Digital Arts and Sciences (IADAS) and serves as an advisor to the academy as well as a regular judge for the Webby Awards. Nathan was nominated for a Chrysler Innovation in Design Award in 1994 and 1999 and a National Design Award in 2001. For over 25 years, Darrel Rhea, has been considered one of America’s leading strategic design consultants and has worked closely with senior executives to rapidly transform the innovation process within their organizations. As one of few select authorities on customer-focused strategic design research and design innovation, Rhea led the development of an original body of formal methods for creating best practices for all types of organizations, allowing them to foster and embrace innovation in corporate design management, brand development, and product development. His work introduced methodologies that shaped contemporary design processes for more than a decade before they became popularly recognized as an effective means to marketable products. Darrel believes that creating empathy and compassion for human beings is the key to successful innovation strategy. 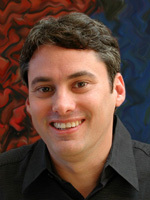 He has championed the development of consumer research techniques and their application to the design of products and services. As a prominent leader in both the professional design and research communities, he has been a passionate advocate and spokesperson for the value of design research and design strategy to business. 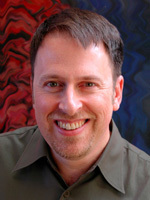 With extensive experience managing industrial design and brand identity creation in addition to product development, Rhea’s qualifications also include a degree in design and psychology, success in graphic design and entrepreneurial endeavors, and, since 1978, as one of the founding leaders at Cheskin. Rhea produces and leads professional development seminars for senior executives on design innovation, design management, and design research, teaching how to use state-of-the-art methodologies with both in-house teams and outside resources. He has served over a hundred Fortune 1000 firms. He lectures regularly around the world with industry organizations, design organizations, and academic institutions including the leading business schools and design schools. Rhea produces and leads professional development seminars for senior executives on design innovation, design management, and design research, teaching how to use state-of-the-art methodologies with both in-house teams and outside resources. He has served over a hundred Fortune 1000 firms. He lectures regularly around the world with industry organizations, design organizations, and academic institutions including the leading business schools and design schools. Rhea is an originator of The Cheskin Design Experience Model published in The Design Management Journal; for which he received the Jay Doblin Award for design theory. He writes a monthly column on innovation on BusinessWeek Online. This delightfully clear book is intended to help companies connect to real people by placing meaning at the center of a company’s “culture of innovation.” With wit, intelligence, and humor, Making Meaning is about as far as one can get from the rapaciousness of soulless consumerism. Louis Cheskin must be smiling!